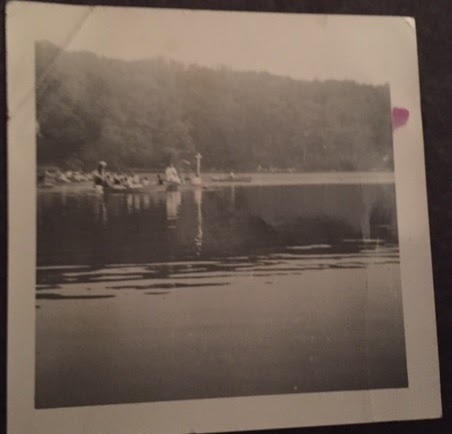 It will take a while before I get my head straight enough to write new Up the Lake stories, so here’s an index of the old ones for easier access than using the “Up the Lake” subject, since we all mention the place constantly, this will link only to the stories. A pretty homogenous group consisting of Italians from the Bronx (and maybe some others, but they converted) that were part of “send city kids into the woods" projects were staying at camps on a lake up near Bear Mountain. By swimming or boating across that lake, they discovered a wonderfully enchanted land. First they brought dates to this land for picnics, and over time those picnics rapidly progressed through sleep overs in tents, to platforms and finally hand built cabins allowing them to spend more time Up the Lake. The relationships of the dating couples also grew…into families. For the next four to five generations, the descendants of that original group, (plus some very special friends who might as well be family) had a continuous series of crazy story and lifelong bond generating adventures every summer in, on and around those cabins and that Lake. And now, after more than ninety years, it’s over. Before starting this week's post, I need to acknowledge the loss of Adam West. I've talked about him a bunch here and here already and don't have much to add. I am extremely happy that, after a down turn, he was able to experience the love of his fans and receive accolades for bringing joy to so many childhoods. The Batman role may have defined his career, but he also defined Batman. It may have been in a silly setting, but he was the first actor to bring the supremely confident, always insanely prepared, and totally focused on doing what's right aspect of Batman to the screen. And they've all lasted until this day. Other actors who played the Caped Crusader may have been in more financially successful or critically acclaimed outings, but I doubt any of them will have a Bat-Signal lit in tribute to them, as Los Angeles is doing tonight at 9PM Pacific Standard time. 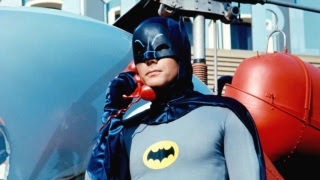 I'm thankful you recorded your lines already, and we'll all get one last ride in the Batmobile with you in the sequel to Return of the Caped Crusaders to take on William Shatner's Two Face. Speaking of Mr Shatner- time to get back to today's post. Amok Time - Mom Title:"Spock's Wedding"
I believe I may have complained a bit about the DC Universe movies and the Nu52 comics. OK, maybe it was more “in a continuous ranting stream” and less of “a bit,” but things are finally looking up! I’ve said this multiple ways, but it applies here again. Marvel is most famous for Characters. They have flaws and idiosyncrasies we identify with, and we admire them because they still choose to do the heroic thing. DC is most famous for Icons. We admire them for being something to aspire to. A Calm and Controlled Final Evening…NOT! From the early days of this blog, I have been internally debating whether or not to put ads on the site to try to make some revenue out of this hobby. If only to balance the lack of sleep it is responsible for. More recently, I've seen the use of paypal "tip jars" and started to lean that way as well. However, readers who are paying a bit of attention (and with my subject matter selections, that isn't something I can always count on) will notice a new link in the upper right hand corner that isn't either of those things. I was inspired by my daughter's Silver Award project for Girl Scouts, which reminded me that I knew some far more important things than tip jars to encourage people to donate money (and time) to.